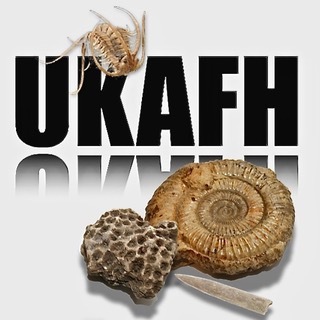 UK Fossils, UKAFH and Discovering Fossils have all teamed up together, producing a standard code of conduct for fossil hunting. Please ensure you follow this code of conduct at all times when fossil hunting. It’s important that new and significant finds are reported to the scientific community to provide an opportunity for them to be studied. We would also encourage you to report important finds to your local museum or UKFossils and/or Discovering Fossils. If you wish to send us a picture of your finds, please email us. You can also post details of your finds on http://www.discussfossils.com. If collecting fossils in Scotland, please do so responsibly and follow the advice on best practice in the collection and storage of fossil specimens outlined in the Scottish Fossil Code. The Code may be viewed and downloaded from: www.snh.gov.uk. Seek permission – You are acting within the law if you obtain permission to extract, collect and retain fossils. Access responsibly – Consult the Scottish Outdoor Access Code prior to accessing land. Be aware that there are restrictions on access and collecting at some locations protected by statute. Collect responsibly – Exercise restraint in the amount collected and the equipment used. Be careful not to damage fossils and the fossil resource. Record details of both the location and the rocks from which fossils are collected. Seek advice – If you find an exceptional or unusual fossil do not try to extract it; but seek advice from an expert. Also seek help to identify fossils or dispose of an old collection. Label and look after – Collected specimens should be labelled and taken good care of. Donate – If you are considering donating a fossil or collection choose an Accredited museum, or one local to the collection area.